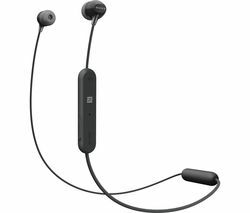 Take a look at our range of Bluetooth, wireless, noise-cancelling, and sports headphones available in on-ear, over-ear, and in-ear designs. Keep an eye out for headphones that support High-Resolution Audio, fast charging, and have an all-day battery life. Listen to music unrestricted with Bluetooth and wireless headphones. Look out for models with NFC for easy connectivity, and infrared RF models for gaming and watching TV. Ideal for immersive listening on the go. Foldable designs, detachable cables, and carry cases make travelling easy. Answer calls at the click of a button and control your music with an in-line mic and remote. Lightweight, compact, and perfect for listening discreetly with comfort. Manage calls, skip songs, adjust volume, and speak to friends hands-free with an in-line microphone and remote. Great for listening in loud places, on the commute, or just for relaxing. Active noise-cancelling headphones filter external noises so you can stay focused and hear every element of the tune. Comfortable ear-hook, ear-tip wings, and neckband designs keep your headphones sturdy and comfortable when you’re exercising. Bluetooth headphones let you move freely without a cable. Keep the kids entertained with bold designs that include fun colour combinations and emojis. Volume limits help to protect young ears. There’s a lot to consider when choosing between wired and wireless headphones. 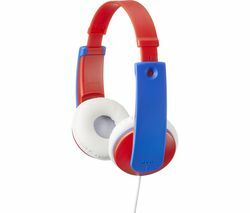 Wired headphones (without noise cancelling) don’t have a battery, so you can listen for as long as you like. In-line remotes let you adjust the volume and skip tracks, as well as answer calls hands-free. And because of their wired connection, you can use them to listen to non-Bluetooth devices, such as a Hi-Fi. Wireless headphones give you the freedom of movement. You won’t need to untangle any wires and you don’t need to worry about how close you are to your phone or tablet. 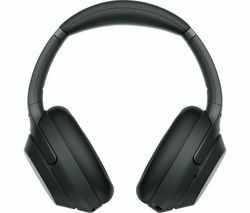 Many wireless headsets feature controls on the ear-cup, offering the same functionality as wired headphones. Look out for NFC, letting you connect with one-touch pairing for instant listening. 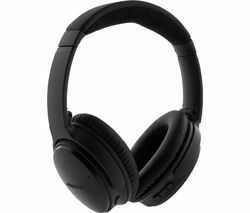 Noise-cancelling headphones are great for staying focused on your music, podcast, or movie where external sounds would otherwise make it difficult to hear your content clearly. Passive noise-cancelling headphones have a physical design that blocks out as much outside noise as possible. They are usually in the form of in-ear headphones, working in a similar way to earplugs, and over-ear headphones, where the earcups surround your ears to prevent distracting sounds mixing with your audio. Active-noise cancelling headphones use a microphone to monitor noise from your surroundings, such as traffic, or talking, and analyse the sound waves to create its own identical sound wave that effectively mutes external noise. This sound wave is then mixed with the audio you’re listening to, providing a much clearer and more focused listening experience. Audiophiles will want to keep an eye out for headphones that support High-Resolution Audio. These headphones produce upper frequencies of around 40 kHz, ensuring that no detail in the music is lost. 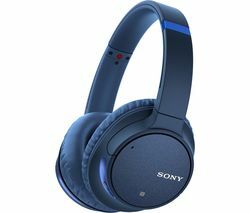 Many headphones that support High-Resolution Audio are able to play FLAC and other high-quality audio formats, so you’re able to hear every element of the crisp percussion and seamless mix. These details would otherwise be missing when listening to MP3 or streaming, as files are compressed. Whether you enjoy working while listening to music, or like to switch between streaming and taking calls, we’ve got you covered with our range of wireless headphones. Certain models are able to provide up to 40 hours of listening on a single charge, so you won’t need to recharge them to listen at the end of each day. And if you do worry about how much battery you have left, many of our headphones have quick charge features. So, you’ll get over an hour’s worth of playback from as little as 5 minutes of charging. Our range of headphones suit all kinds of listener. From our kids headphones with a volume limiter that helps protect young ears, to our True Wireless earphones that offer portability without the need for a cable. 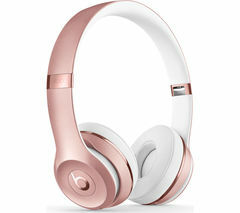 You’ll find a broad selection of headphones that support Hi-Res Audio, for detailed listening on-the-go. Our wireless and Bluetooth headphones combine sound quality with seamless connectivity and extended battery life, making them great for the commute. 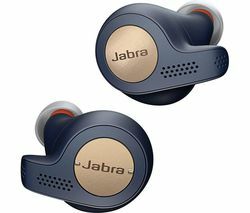 And for those that want to plug into their Hi-Fi, TV, or any other non-Bluetooth or wireless device, our collection of in-ear, on-ear and over-ear wired headphones provide comfort and clarity. For quiet concentration in loud places, consider noise-cancelling headphones. They use a microphone and clever AI technology to monitor external sounds and create a sound wave that drowns out noise, so you can focus on what you want to hear. Our sports headphones are perfect for keeping the pace up when exercising, thanks to sweatproof materials and ergonomic designs including neckbands and ear-tip wings. These keep your headphones comfy in your ears, even when you’re going for that personal best.